Welcome to the Department of Sociology and Criminology in the College of Arts and Sciences at UNCW. Our department provides a rich learning experience for students interested in the social sciences. We offer a major in Sociology with either a Public Sociology or General Sociology option. We also offer a major in Criminology with the option to choose a Criminology,Criminal Justice or Public Criminology concentration. In addition, we offer minors in both Sociology and Criminology. See our MA program webpage for more information about our Master's in Sociology and Criminology. For important information about majors, including degree requirements, course descriptions, and admissions requirements, go to these links to view the Sociology, Criminology, or Master's Program pages. The requirements for a major in Sociology, whether choosing the General or Public Sociology concentration. We are happy to answer any questions you may have about the major! Please contact the department coordinators, Dr. Donna King for Sociology and Dr. Shannon Santana for Criminology. In The summer months please contact the Chair, Dr. Mike Maume. Our Faculty page has information about all of our faculty members including their areas of research, courses they teach, their personal websites, and course syllabi. We hope that you will join us in support of the UNCW Department of Sociology and Criminology. Your generosity ensures a rich experience for everyone in our department. Please consider a financial gift to the UNCW Sociology and Criminology Department. Annual or one-time gifts designated to the department support student scholarships and hands-on applied learning experiences, like the WHA-UNCW Community Campus, that prepares students for successful internships and post graduate careers. Please visit www.uncw.edu/giveonline for several ways to make a tax-deductible gift to UNCW in support of Sociology and Criminology department. The next application deadline for entrance in to the MA Program in Sociology & Criminology has been extended until July 1st. These applicants will be considered on a rolling basis. The deadline is still May 15th In order to be considered for funding a completed application (including transcripts, recommendation letters and test scores) must be received by the Graduate School by this date. Contact Jill Waity waityj@uncw.edu with any questions about this process. 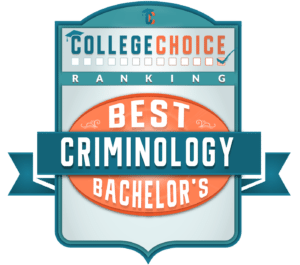 University of North Carolina at Wilmington named in 2019 Best Online Colleges for a Bachelor's in Criminology!